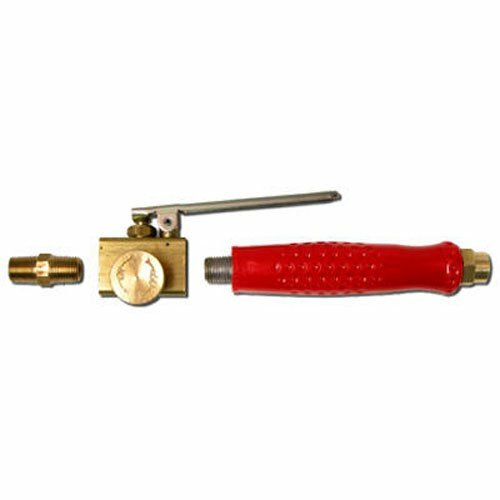 Red dragon vapor torch kit, 500,000 btu, kit contains: vapor torch, 10' hp10c lpg hose, UL listed, p3200w UL listed excess flow p.O.L. 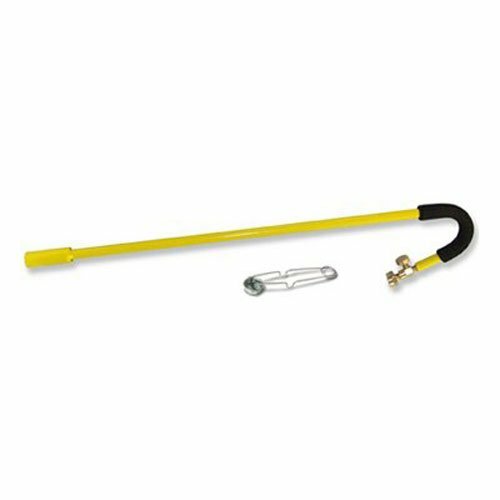 Fittings V334 adjusting needle valve & pipe thread compound, L2002 spark lighter, rugged, steel construction, lightweight, ideal for burning weeds & stumps, sterilizing cages, clearing irrigation ditches, heating, thawing, drying & other agriculture & industrial uses, CSA international certified. This product is manufactured in the USA. The product is highly durable. The work horse of all Red Dragon Roofing Torch Kits, the RT21/2-20C preforms stand-up work with ease and is noted durability and efficiency on the job. This kit excels in balance, flame control and has overall length of 29". Red Dragon Shop Torch, it's the most popular small torch kit. Great for small jobs and detail work like removing paint and preheating metal. The 45' degree bend allows comfort and ease while doing work. A very nice kit with plastic grip, preset regulator, spark lighter and torch stand. This cylinder dolly makes the perfect companion for any Red Dragon torch kit & is ideally suited for LP gas cylinders to 40 lb (10 gallon). the single handle allows the operator to use a torch & move the dolly simultaneously. Features rugged welding tubular steel, with two seven" steel wheels & solid axle, assuring years of dependable use. MAXIMUM load capacity is 100 lb. Dimensions: 15" w x 44" H.
VT3-30C is the most versatile weed burner and the most popular in the USA. 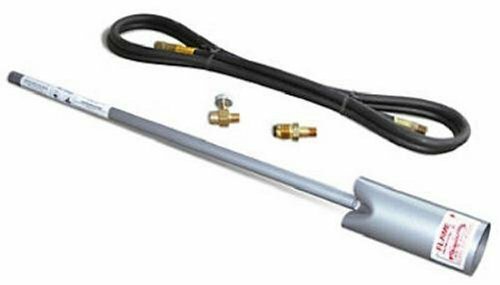 At 500,000 BTU this kit really delivers the heat for weed burning, thawing, heating or whatever job may require. A 28" handle with a flame controlled squeeze valve and handle. 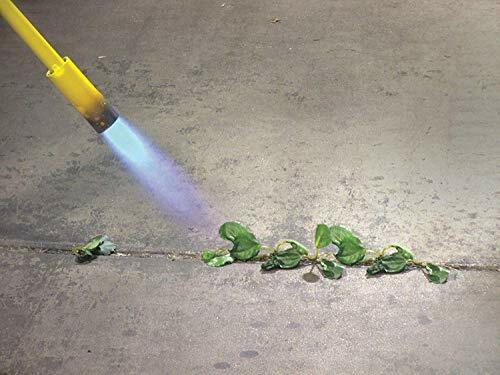 Perfect for spot weeding and instances where full flame is not continuously required. This deluxe torch of choice for farmers, ranchers, construction professionals and property owners. 400, 000 BTU torch. 10' U.L. Listed LP gas Hose. Adjustable needle valve. 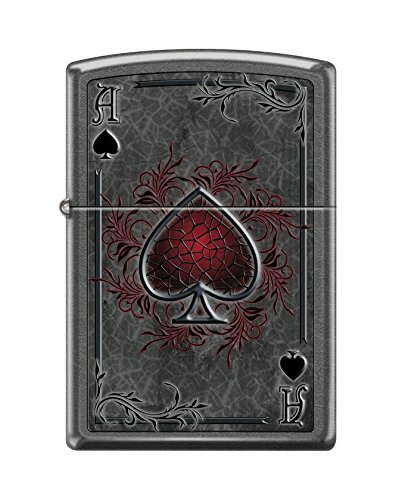 Includes spark lighter. Does not include tank, runs on 20lb cylinder or larger. An economical model for the price conscious individual. 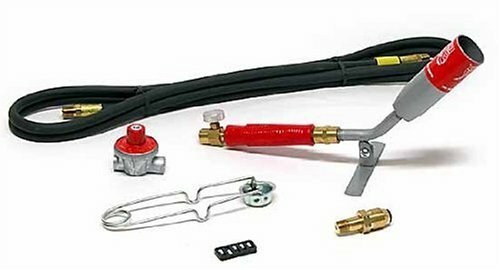 The kit is complete with everything you need except the fuel cylinder & propane fuel. Ideal for burning stumps & weeds, heating branding irons, thawing pipes, preheating metal, removing paint, & melting ice. 500, 000 BTU/hour. 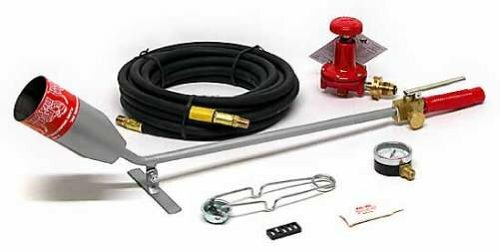 Kit contains 24" Vapor torch, 10' Lpg hose, POL fitting, Adjustable needle valve, & pipe thread compound. Blister packed. All flame engineering torch kits use a 20 lb. Tank an economical model for the price conscious individual. This product is Manufactured in United States. This product meets customer requirement. 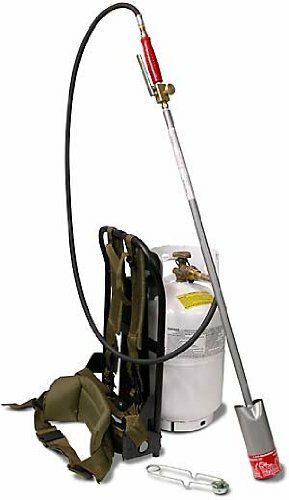 Mini dragon Jr vapor torch kit, adjustable flame, easy & effective, No lighter fluid, non-slip grip, environment friendly, uses standard portable propane cylinders, 1-1/2" Bell, 20" handle, 25, 000 Btu, spark lighter included, light weight, fits in a backpack, No assembly required, capable of starting a fire in extreme conditions in minutes. 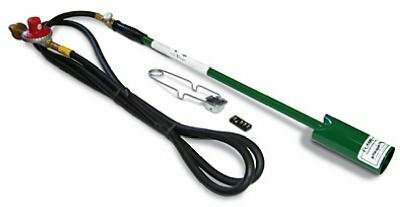 (3) ea Weed Dragon Propane Torch Kits Each Kit Contains: Vapor Torch With Plastic Grip, 10' HP10 LPG Hose, UL Listed, PW795 Hand Tighten P.O.L. UL Listed, V3055 Adjusted Needle Valve, R700C UL Listed Regulator, L2001 Sparklighter With Flints, Help Keep The Lawn & Garden Weed Free, 100,000 BTU, Easy To Operate, Completely Assembled, Connect To A Standard Propane Cylinder (not included) CSA International Certified. Use the Red Dragon LT21/2-30C liquid torch kit in sub-zero temperatures or continuous use situations. 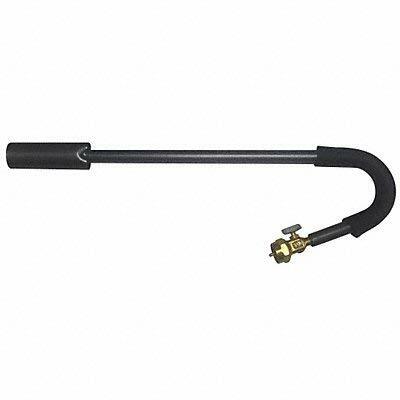 This Torch is 36" in length and capable of producing up to 250,000 BTU. This is an excellent kit for road repair, surface drying, preheating castings for welding, weed burning and many other jobs. (1) each Weed Dragon Propane Torch Kit. 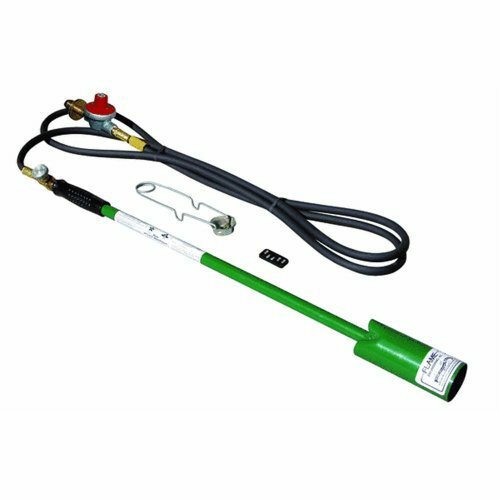 Kit Contains: Vapor Torch With Plastic Grip, 10' HP10 LPG Hose, UL Listed, PW795 Hand Tighten P.O.L. UL Listed, V3055 Adjusted Needle Valve, R700C UL Listed Regulator, L2001 Spark lighter With Flints, Help Keep The Lawn & Garden Weed-Free, 100,000 BTU, Easy To Operate, Completely Assembled, Connect To A Standard Propane Cylinder (not included) CSA International Certified.